Order: AweSom Curries by Som Kesa Available to Order! 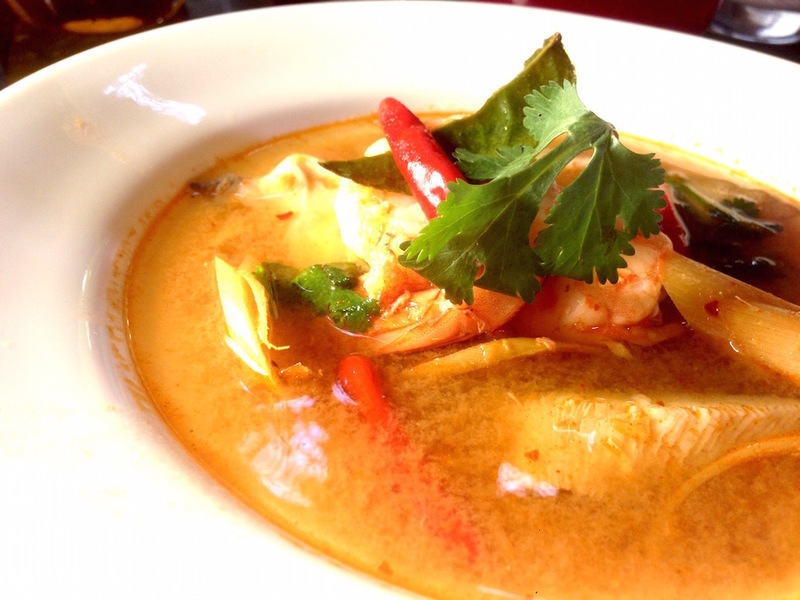 Due to overwhelming demand, it is with great excitement that Foodie Empire Honoree Som Kesa would like to announce the availability of her authentic Thai cooking, beginning with Chicken Green Curry and Chicken Panang Curry. Som recently made care packages for her son Jasper, who was in town for the holidays. To ensure he would be sent back to New York a with a loving touch of home, Som created vacuum-sealed meals for him and posted the photos in the Seattle Foodies Facebook Group. Som has developed a full menu (see below) and will be offering two options weekly. We are taking orders now for this week (week of January 24, 2016) for Som's Chicken Green Curry and Chicken Panang Curry, made fresh to order. Packets will last in the freezer for at least one month, ready whenever you want! Only the best ingredients are used with no refined sugar or additives. The curry paste is hand-carried from Thailand as is the palm sugar. Initial discount price of $10 per bag (minimum 5 bags weekly). Orders to be picked up at Som's house in Green Lake on Sundays from 10am to 2 pm. (details will be provided when your order is complete) We will try to accommodate your scheduling needs. The last day to order will be on Friday, with Som shopping and cooking on Saturday for Sunday pick-up in the Green Lake neighborhood. One free bag with a customer referral with purchase.